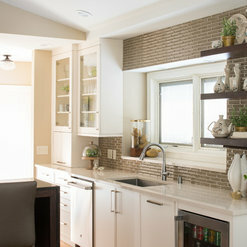 We love ordering our cabinets from Decor because it is always an easy ordering process. Everything typically comes in great condition and if something ever does happen, their team is always ahead of fixing any issues! 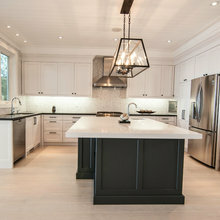 We love the way Decor works as a company as well as looks in our clients homes! Thanks for the very kind words! John, Mark, Christen, & Bailey have been great to work with. 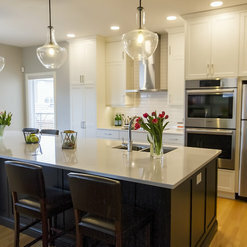 When Decor has an ongoing project, the staff at Preferred Kitchens have always been professionals and done whatever they can to solve the client’s needs and we couldn’t be happier to be part of the process. 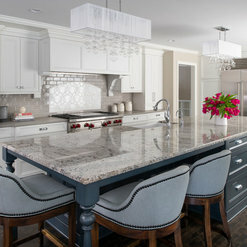 I work for LaMantia Design and Construction in Brookfield, IL, and we specify Decor cabinetry for the majority of our jobs. Not only are the products superb, but the support we receive from Decor is beyond exceptional! 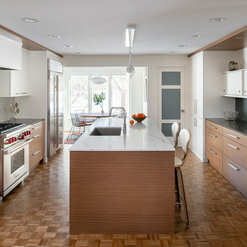 I recently completed a kitchen remodel in my own home, and used Decor Cabinetry. I am loving every last inch, and look forward to many years working in that kitchen. 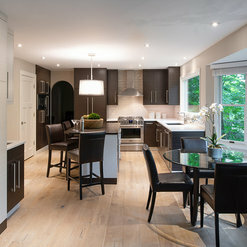 The door styles, the finishes, the accessories, and functionality of the cabinetry are just perfect! We have been working with this company for over 30 years. 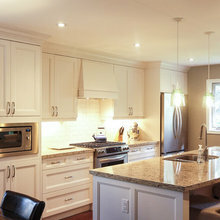 Décor is extremely professional and they carry quality cabinetry. I have been satisfied with there product as well as their services. 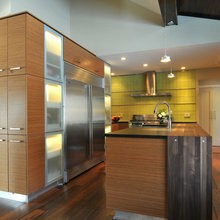 Our customers are also extremely satisfied with the cabinetry as well. We plan to continue working with this company for years to come. 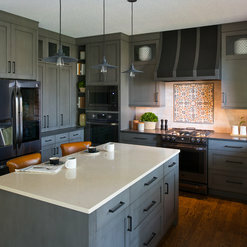 Having worked with Decor Cabinets for over 5 years now, I can honestly say they make a wonderful product at a fair price. The customer service team is awesome. 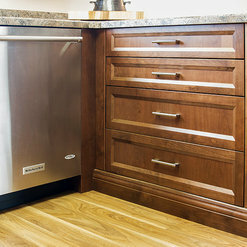 I am so happy to have the opportunity to work with such a great Canadian cabinet manufacturer. 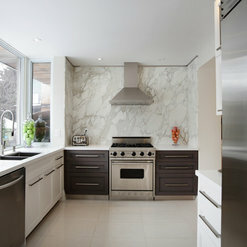 As a kitchen designer and remodeling contractor, I appreciate Decor cabinets for a number of reasons. Their customer service is excellent--if something is wrong with an order, or if I need something to complete a job, they get it to us really quickly. They also consistently produce a great product that all of our clients really like. 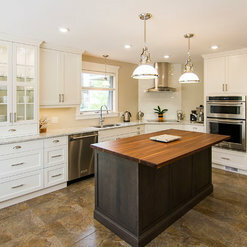 Their cabinetry is of excellent quality and I feel great about recommending it. My CSR, Angie Nichol, is one of the best. She picks up on things that I may have overlooked on my orders. The only reason I am not giving 5 stars is that their lead time is currently out around 11-12 weeks which is making it difficult. There are times our clients don't want to wait that long so we move with another product that has a quicker lead time. We have been dealer for Talora by Decor for about six years. 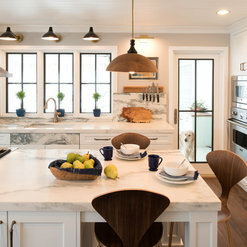 I have worked with Decor Cabinets for over 10 years, and can always rely on them to help me create wonderful and beautiful projects with happy clients. I have found their customer service to be outstanding, and I really believe it is a team effort getting the best possible product to our jobs in the quickest possible time. 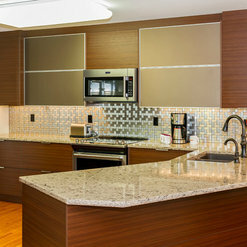 The quality is great and consistent, and the finishes are among the best in the business. Their ability to work with us to customize products to fit our complex designs is fabulous! We've been working with Linda Hildebrand through the years and I feel she truly has our best interests at heart, as well as our customer's satisfaction! We do miss our local representation, that was always there with good advice and counsel and was diligent about making sure we were aware of the many updates and changes to manufacturing so we could not miss any opportunities. Quality products at an excellent price! 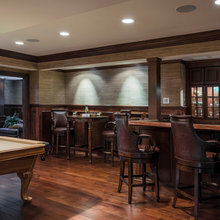 The variety of style and price point has something for everyone; Custom colors, veneers, solid wood, you name it, they have it. 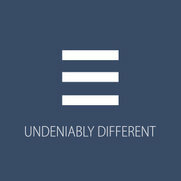 As a designer this makes my job a lot easier to achieve the look the client wants, even if this look is like no others.